A commemorative DVD marking the 30th edition of the Brussels Development Briefings has been released by the Technical Centre for Agricultural and Rural Cooperation (CTA). The DVD has been distributed to the participants of the 30th Brussels Development Briefing on the topic of “Agricultural resilience in the face of crisis and shocks”, which took place on 4th of March 2013 in Brussels. If you would like to receive a hard copy of the DVD, send us an email at boto@cta.int, or contact us via our Facebook group. The DVD contains highlights, presentations, updated readers, and policy briefs for selected Briefings, hold between 2007 and 2012. All materials are available in both English and French. 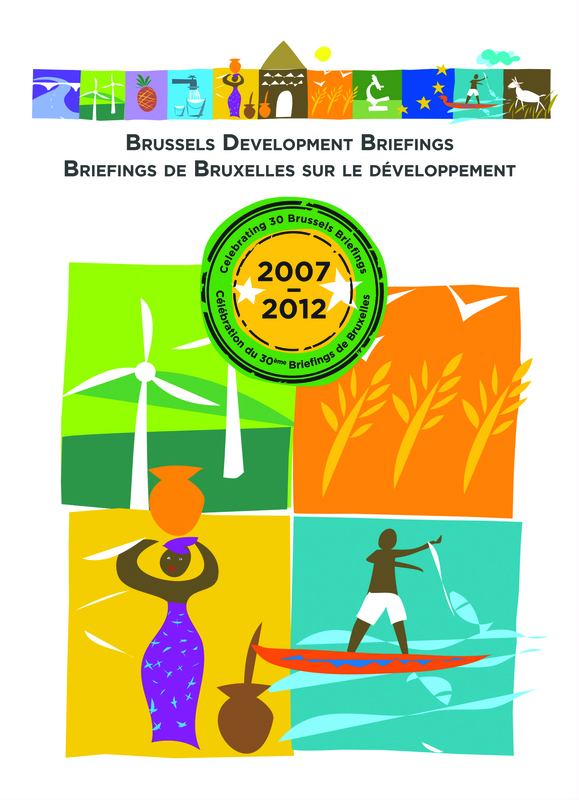 Launched in November 2007, the Brussels Development Briefings is a bi-monthly event which has the aim of tackling key issues and challenges for rural development in the context of ACP-EU cooperation. Over the last five years , the Briefings have succeeded bringing together noted experts, and thought leaders from around the world, and put forward key ideas for the ACP countries.